Using natural white quartz stone, with 18k gold plated necklace. Using natural white quartz stone, with 18k gold plated necklace. 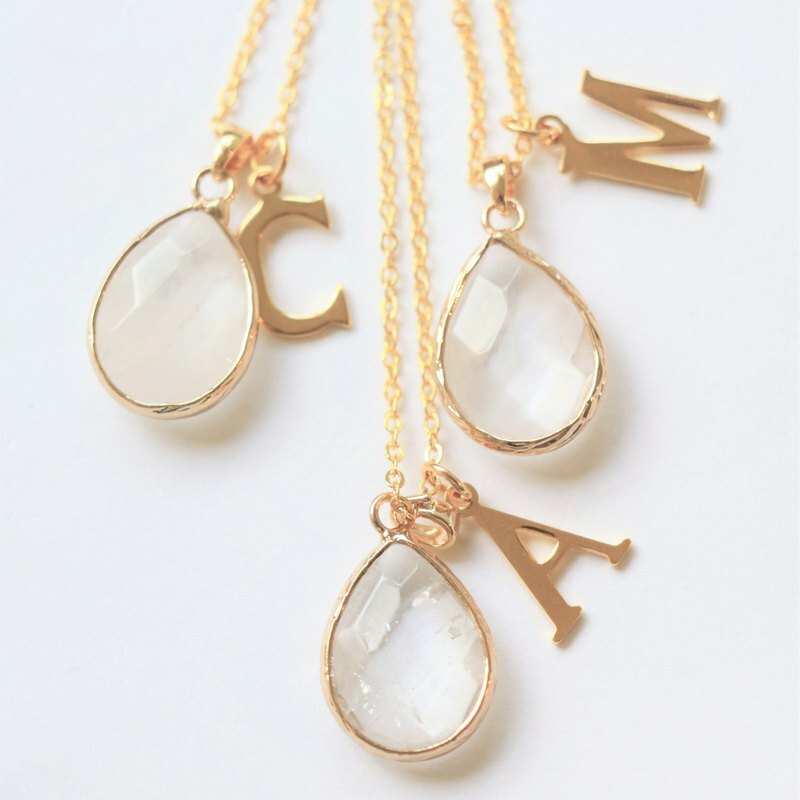 Material: white quartz stone + 18k gold plated necklace Origin: Handmade in Hong Kong The price is for one necklace. 【Size】： The stone is about 20 mm each, initial is about 20mm. Necklace is in 16 inches, with 2 inches extender / 18 inches, with 2 inches extender / 20 inches, with 2 inches extender 【Care instrustion】： Please remove it before bathing or swimming. Avoid your jewelry touching chemical such as hairsprays or perfumes. Using soft cloth to clean your jewelry everytime after wearing it, and store it in a dry and cool place. 【Gift packaging】： All products will be packed in a lovely gift box with free of charge. There is no price tag or receipt so that you can send it as a gift directly. If you want to add a note card, please feel free to tell me. 【Shipping】： Hong Kong : Hong Kong Post local registered mail with tracking number. Other countries : All the products will be sent via air registered mail / first class international with tracking number. 【Attention】： Please kindly note that all natural stones are not perfect. They may have cracks and impurities. All jewelries are made by hand and they are not perfect too. Please kindly consider before purchase. Thank you very much.